The NIH National Institute on Drug Abuse (NIDA) has funded the Center of Excellence OF Computational Drug Abuse Research (CDAR) a total of $5.4 million for 5 years. The overarching aim of the Center is to develop, implement, and enable the broad usage of computational technology (algorithms, methods, software, and tools) for enhancing the effectiveness of drug abuse research, both on a local level (by supporting ongoing funded projects at Pitt and CMU) and at the national level (via close cooperation with other labs including the other members of NIDA Centers Consortium). 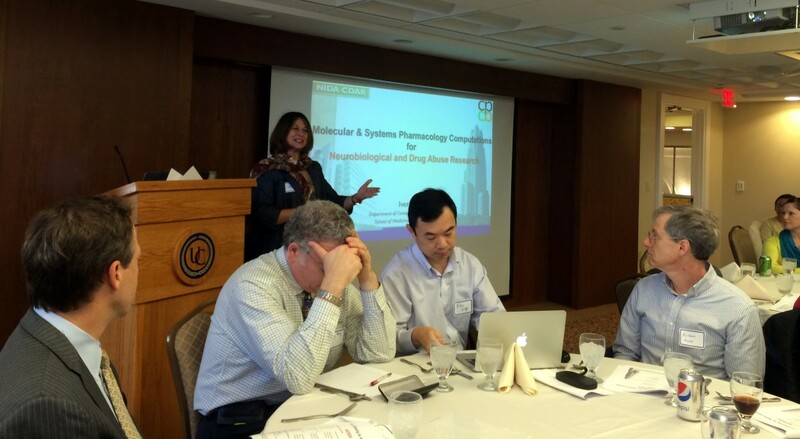 The Center is a collaborative led by Professors Xiang-Qun Xie of the University of Pittsburgh School of Pharmacy, Ivet Bahar of the University of Pittsburgh School of Medicine, and Eric Xing of Carnegie Mellon University, Computer Science Department. Overall, the Center will strive to achieve the long-term goal of translating advances in computational chemistry, biology, and genomics toward the development of novel personalized drug abuse therapeutics.